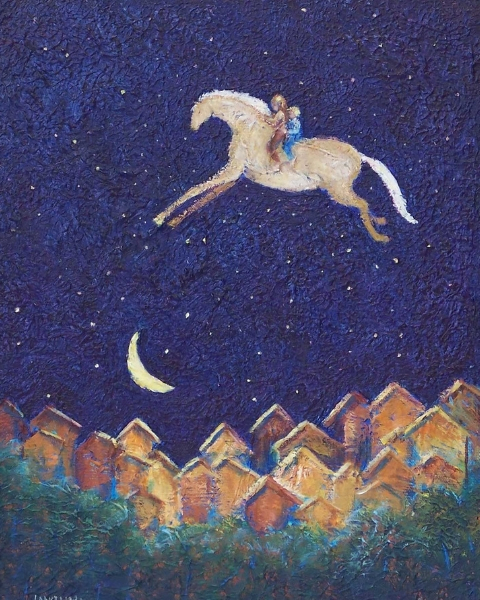 The palomino Spirit Horse flies across a deep purple blue sky with its two small passengers. The village glows with warm yellow, orange and rust. Dreams of Flying will bring out the feelings of the free, joyful child that lives in us all.